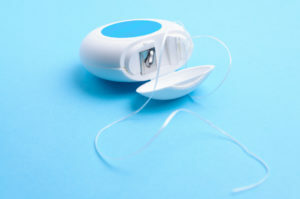 Whether you may be thrilled by this news or a bit gutted and betrayed by the lack of scientific evidence for flossing we don’t recommend our patients ditch the floss just yet. As your dentist and trusted oral health advisor I think it’s important to address this subject in more detail. On Tuesday, a new report by the Associated Press, claimed that the medical benefits of dental flossing are unproven.The federal government admitted there was no solid research supporting the effectiveness of flossing. The latest dietary guidelines for Americans, issued by the Department of Agriculture and Health and Human Services, quietly dropped any mention of this without notice. I’ve been practicing dentistry since 2002 and I can tell you first hand that I have physically seen the results of flossing with my own eyes. It’s important to note that a lack of good research doesn’t necessarily prove something is ineffective ― just that perhaps it hasn’t been a priority for quality research or research funding. Maintaining good oral health is not just a result of a single factor, rather it is the result of a combination of factors that include regular brushing, flossing, and visiting your dentist for regular dental check-ups. If you have any questions about flossing don’t hesitate to contact us!